Food Mixers are composed of two main parts, a trough or vessel and propeller or agitator. The trough or vessel is the largest part, often shaped like a bowl, and may have a lid, an open top or an inlet for the ingredients. The propeller or agitator is composed of high-powered blades or paddles inside the trough that perform the mixing action. The term “mixer” is frequently used interchangeably with “blender” though some manufacturers differentiate between the two: blenders have sharper blades that revolve at higher speeds in order to break down large food items while mixers have dull blades or paddles that operate at slow speeds. 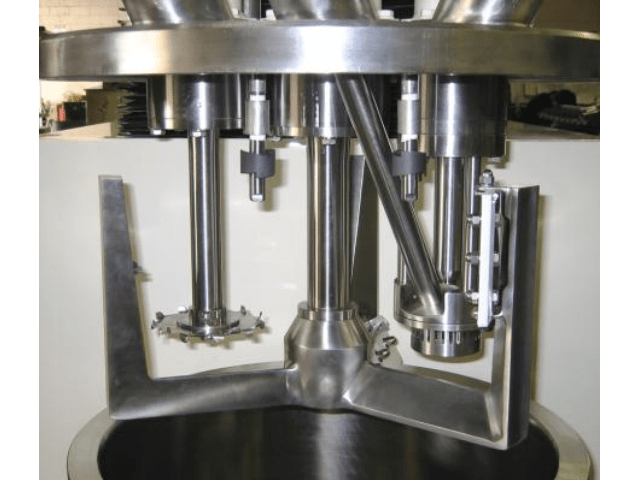 Food mixers in general are most often found in the food industry and are used in food product factories, bakeries, large restaurants and breweries in applications where food is being made or prepared in large quantities. Food mixers consist of a motor that drives the propeller or agitator which is immersed in the ingredients or food that needs mixing. Stand mixers are mounted on a metal stand that bears the weight of the device; hand mixers are smaller units and are held by the operator. Industrial food mixers are almost always stand mixers. The vessel or bowl locks into place; troughs usually are stationary and are cleaned inline. Heavy duty commercial models have be able to hold over 100 quarts; household models can contain around 4. Depending on the ingredients being mixed, there are many types of food mixers to choose from, all of which perform different functions and produce different results. Ingredients are added to batch mixers, where they are then mixed, emptied and cleaned. Continuous mixers, on the other hand, have ingredients continuously added. These mixers, unlike batch, run without shutting down for a long time. 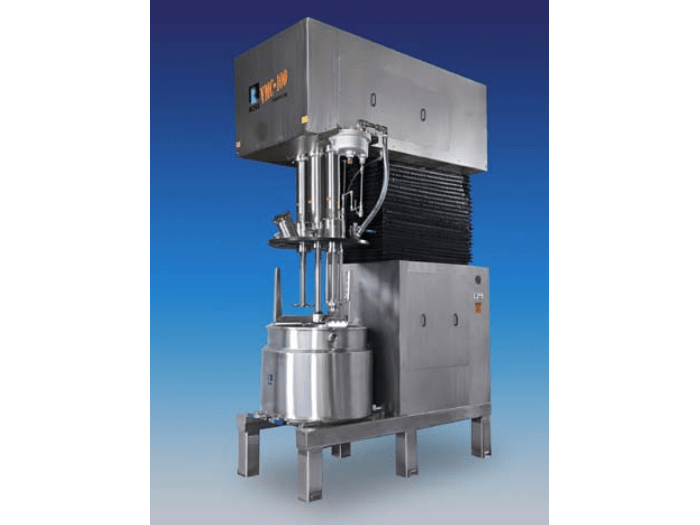 Planetary mixers are used for high viscosity ingredients like pastes, conical mixers provide gentle blending and don’t take up much space, and spiral mixers are used in bakeries to knead dough. A common type of mixer is the ribbon mixer, where a propeller is used. Similar to the ribbon is the paddle, which differs only in speed-paddle mixers blend at a faster rate than ribbon. Food Mixers Food mixers are large metal kitchen machines that blend, mix, fold, whip, beat or knead multiple edible ingredients in food manufacturing processes. The mixers must be completely sanitary, easy to clean and meet USDA and FDA cleanliness standards in order to operate without contamination. Stainless steel is the most popular choice for food mixers, because it is a non-porous material that can easily bond seams together.